CMRUAT 2019 Registration (UG & PG) has been Started Now. CMRUAT University is conducted in authority of CMRUAT 2019 examination. It is a university level entrance examination which gives admission to different UG and PG courses. Applicants who are keen and eligible for admission in more courses will have to be present in the admission test which is done by the university. The application process will begin from March 2019 onwards. After the applicants who have been shortlisted will be eligible for admission in CMR University. Applicants must be interested to participate in the examination and must be able to check all the necessary information regarding the entrance exam. CMRUAT 2019 Registration (UG & PG) has been Started Now. Click Here to Check Application Details. Applicants whoever has registered can apply online and should get a registered email ID and a mobile number. After the applicants’ sign in their username and Password, then they will get their application form. CMRUAT 2019 Registration (UG & PG) has been Started Now. Applicants will have to fill the form without doing any mistakes. Then they will have to give the payment. At the time of giving the form, applicants will need to scan their passport size photograph and signature in the given format. After giving the form, applicants are told to take multiple printouts and keep it with them carefully. Applicants who are applying offline can get their application form from the CMR University Counter. Personal and Academic information of the applicants. Class 10th and 12th mark list. Photos, Passport & Stamp size. For NRI/ foreign Students only. Certificates needed from any board, Via, Passport, the Same certificate from AU. Applicants can pay the fee via credit/debit card or net banking. For offline mode, applicants can pay by demand draft on the above address. Fee for B.ARCH, B.Tech and little courses of B.SC program (Advertising and Public Relations, broadcast and digital media, Digital Communication and Multimedia and print and online journalism are for RS 750/- and for B.COM, BBA, BA (Hons). Applicants who are applying for B.Arch must have a pass in their 10+2 exam, as the main subjects are Mathematics. From a well-known board or university with a 50% minimum mark. Applicants must have a pass in their 10+2/PUC in any field from a well-known board with a 50% pass mark. Applicants must also be safe by getting 65% marks in English and Mathematics or any other subjects which are related to commerce. Applicants will have to have a pass in their 10+ two from a well-known board or university. Also, Applicants must give a personal statement showing their personal information from where they come from and their educational interest in media. Applicants must have a pass in 10+2 or any other board with Physics and mathematics which are the important subjects along with Chemistry/.Biotechnology/ Biology/ Technical and Vocational subjects. Applicants must keep their marks to 45% to make them safe. 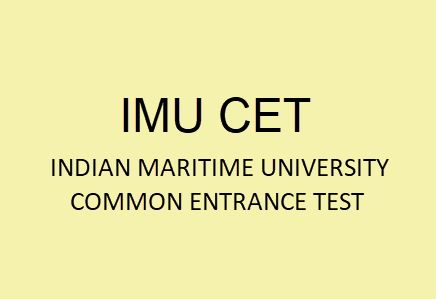 The exam will be conducted online (Computer-based Test). Questions will be based on the Objective type, and it also depends on the course. The questions will be asked from Physics, Chemistry, and Mathematics of class 12th. Have a timetable and prepare for the exams accordingly. Have healthy meals on time. Revise through the previous past papers for you to know how to solve the answers. Group study is a must so that every candidate can gain some knowledge. Do yoga every morning so that your mind can be fresh to prepare for the exams. Candidates are advised to make their preparation from the previous year question papers and mock tests available on the website to score better in the examination. Applicants will get their hall tickets on the official website before one week of the examination. Applicants will be able to download their hall tickets by using their registered email ID. Applicants must keep the hall tickets carefully as they will have to show it. Applicants are told to bring their photo Identity along with them. The marks will be announced only after the online examination. Applicants will be able to check their marks and download their report card by typing their Email ID and password. Applicants will have to visit the official website for more information. Applicants will be chosen by the marks which they will get for their exam. Applicants must give their original documents which will be needed for admission procedure. Applicants are told to keep their original ID proof along with them. For any other queries about CMRUAT 2019, you can leave your queries below in the comment box.